Way back in the 1970s there was a BBC TV series called Why Don’t You Just Switch Off Your Television Set and Go Out and Do Something Less Boring Instead? It showcased activities kids could do the during the summer holidays that often kindled a life-long interest. 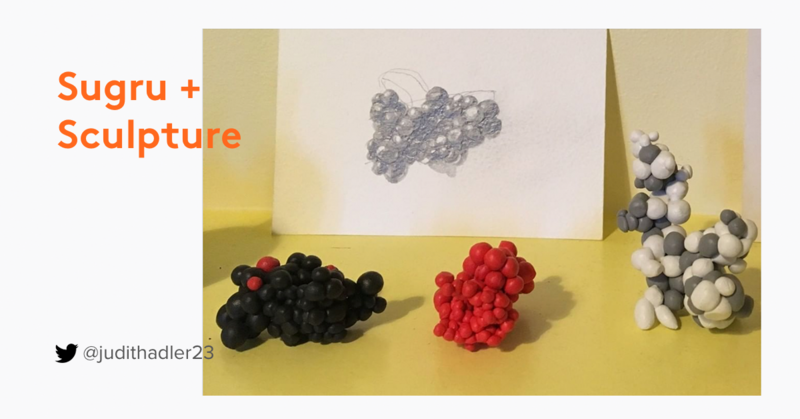 Scroll on down and see how some of our community use Sugru in all kinds of practical and creative ways to enhance passions for music, making, biking and gaming. Rhapsody In Glue. Musicians love exploring Sugru’s grippy and mouldable possibilities for repairing, modifying, customising and generally improving their instruments. And we love seeing the results. 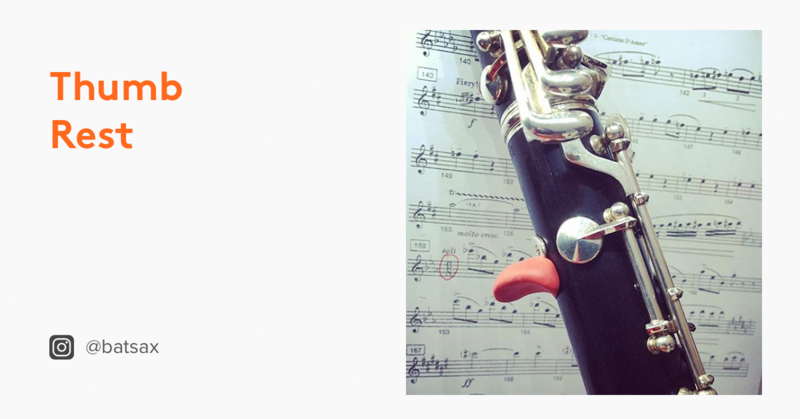 Like this immensely functional clarinet thumb rest. Or is it a little penguin masquerading as a wind instrument? 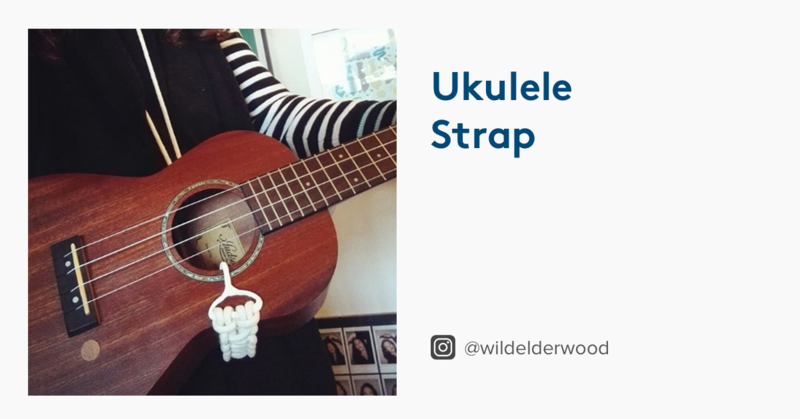 Sophie from Kent made this ingenious ukulele strap because (she tells us) she likes to stand by the radiator and warm her bottom while she plays. 😏🎶 She created the hook piece out of wire and covered it with Sugru. Then she used a Macramé knot for the strap which is even adjustable. 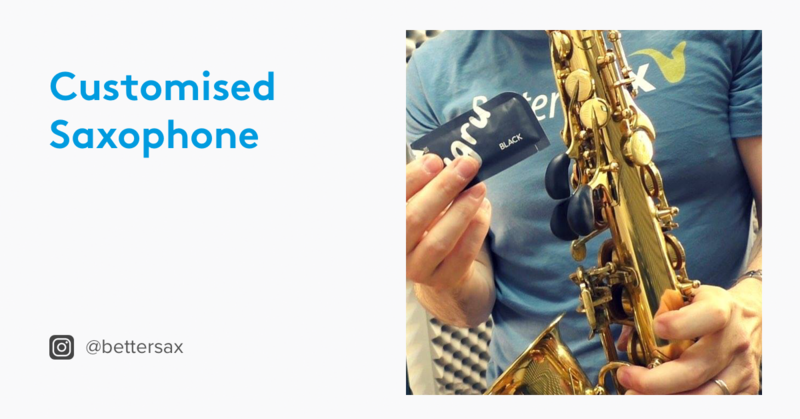 And check out this smooth saxophone customisation by Better Sax using Sugru to make palm key risers. Better Sax is the brainchild of Jay Metcalf, a professional saxophonist who has played with some of the greats including Booker T, Graham Nash, Madeleine Peyroux and Ashford & Simpson. His mission is to offer developing saxophone players a more efficient, practical and fun alternative to traditional music learning methods. 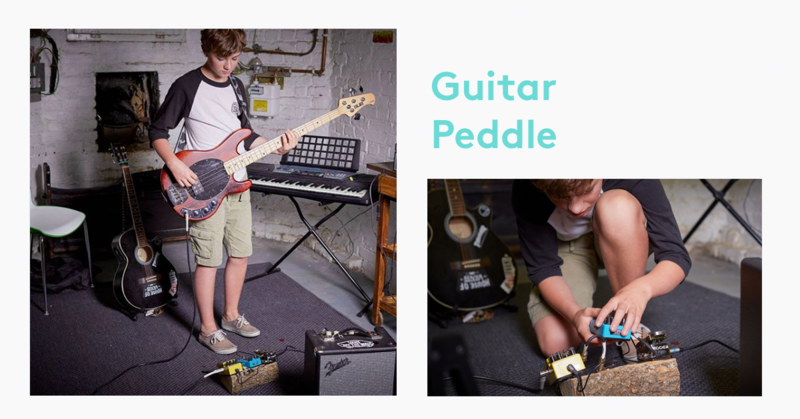 Taylor is a budding musician (lead guitar and bass guitar) and maker. He designed and built his own guitar pedal board by using a small log, some magnets and Sugru, of course. If you want to sample more musical hacks, see how 11 Musicians Get Creative With Sugru and then swing into action with this Drum Hacks With Sugru video. The Devil Is In The Detail. 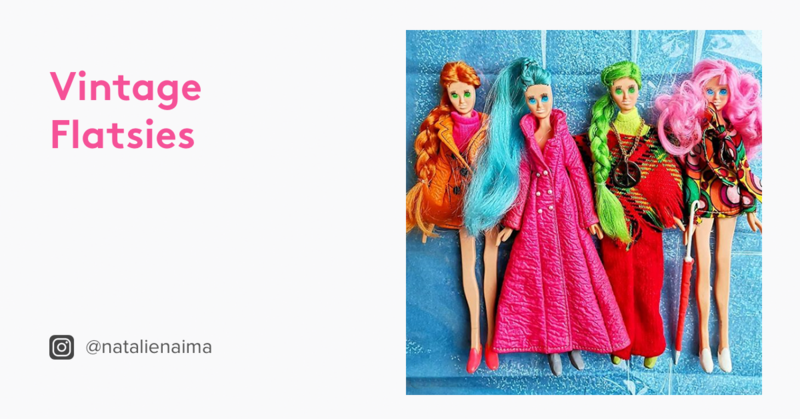 Peg dolls or Dutch dolls originally came from Germany and the Netherlands in the 18th Century. 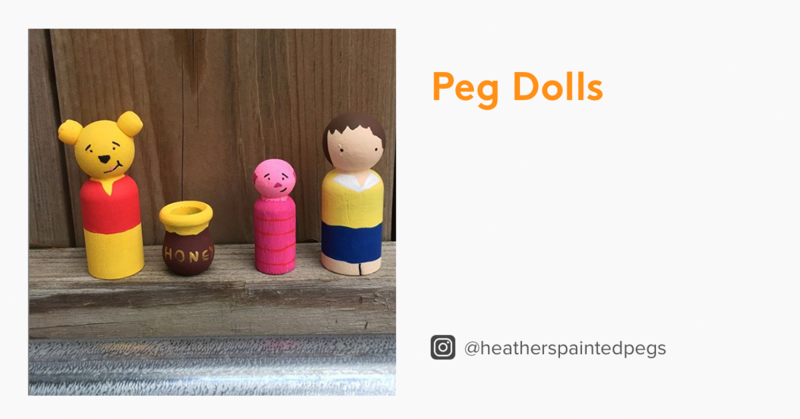 The tradition of making dolls from wooden pegs spread far and wide and often grew out of economic necessity. Today, it’s just a fun thing to do, especially with kids. Sugru is great for moulding additional features to all sorts of little figures, no matter how small and intricate. Heather’s peg characters often benefit from an extra horn here or a new hairdo there. See them in all their glory at heatherspaintedpegs. This Is Rick-tastic! 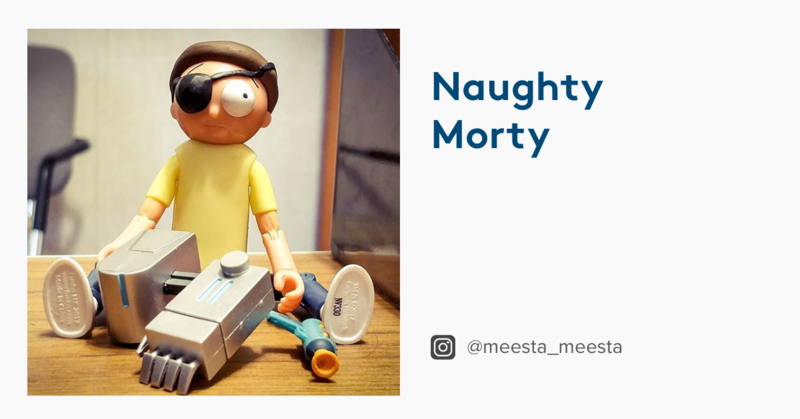 Lou made this Sugru eye patch for Morty from the animation series for grown-ups, Rick and Morty. It gives him a whole new look and perspective. Whoa! If It’s Broken, Fix It. The Furby electronic toy, launched in 1998, became the first mass-produced baby robot selling over 40 million in its first three years. After multiple incarnations, the Furby phenomenon lives on in the hearts, blogs and forums of its devoted fans and collectors. 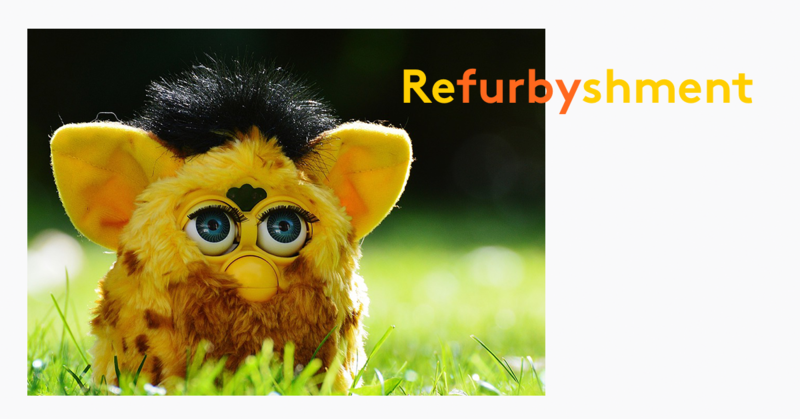 Loving restoration, technical repair or creative customisation, the Furby crowd can handle anything. One Sugru-using collector from Boston regularly skins her Furbies (using a seam ripper) to attend to dirty fur and dislocated beaks. But a lot of fans claim that a defective Furby (with missing ears or wonky eyes) is “loved twice as much.” Watch this complete Furby makeover video including a Sugru beak reconstruction. If It’s Not Broken, Improve It. Kerstin is no ordinary mom and wife. She’s also a part-time L.O.L. 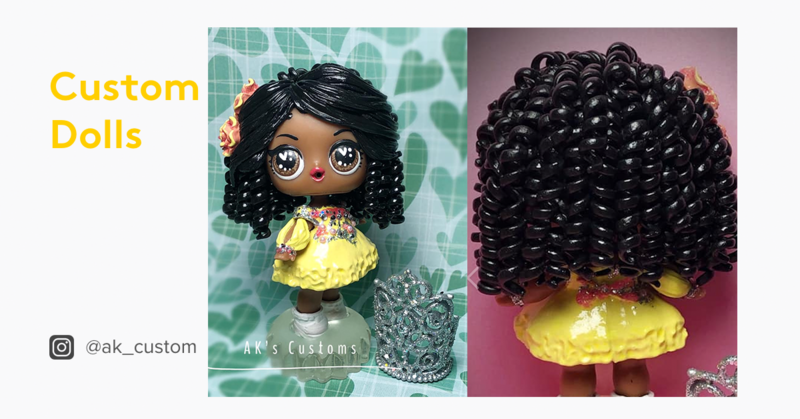 Doll repaint artist. She set up AK’s Customs, a small studio in Florida, to customise these 3-inch figurines. Kerstin’s speciality is to create tiny lookalike dolls of your own kids. Notice the immaculate spiral curls on this little one. It’s always a good hair day with Sugru. And If It Doesn’t Exist, Make It. Calli customises, restores and collects My Little Ponies. 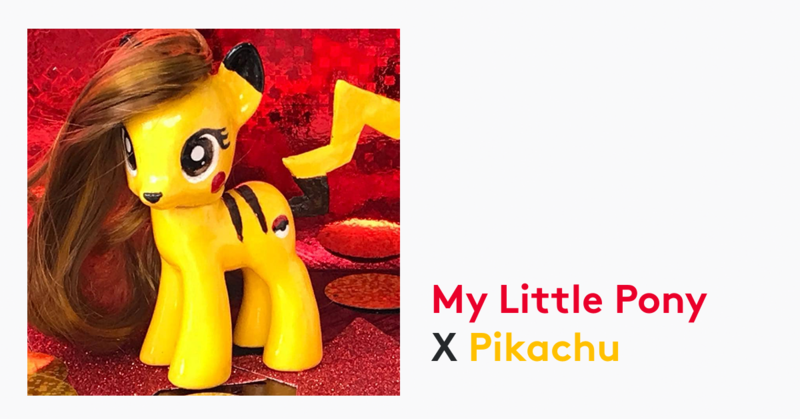 🦄 This My Little Pony x Pikachu crossover is a fantastic example of the way Sugru can help you customise the things you own and turn them into the things you want. They Are Are Among Us. Why throw away unwanted bits and pieces of tech when you could transform them into anything you can imagine with a jot of Sugru? That’s exactly what this Sugru-er does. 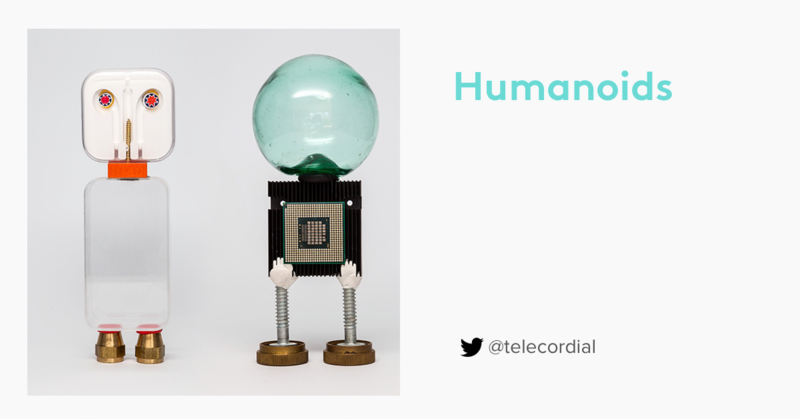 He’s a data scientist, humanist and inventor who loves to create cool things out of stuff. Art Is Play. Play Is Art. If you can see it in your mind’s eye, then you can sketch it, make it and share it. This stunning use of Sugru by artist and curator Judith Alder shows off its sculptural qualities. Judith’s work covers a variety of media and processes including collections or installations of objects, images and drawings animated with sound, light and moving image. Go see for yourself Judith Alder. Life Behind Bars. To some, cycling isn’t a hobby it’s a religion. For others, it’s a hip and healthy, low-carbon mode of transport. Sugru and the humble bicycle go way back. Not only can it stick to plastics, metals and carbon fibre, once cured, it’s also shock-resistant, flexible and waterproof. Perfect for repairing and rebuilding broken saddles, replacing missing parts and attaching accessories. 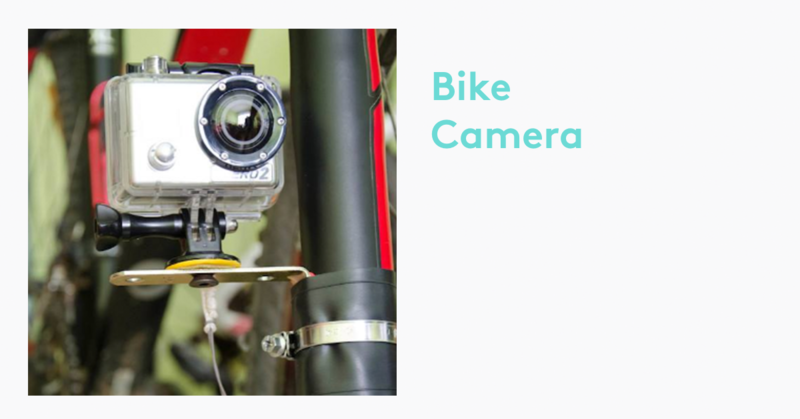 How about securing a camera to your bike frame? 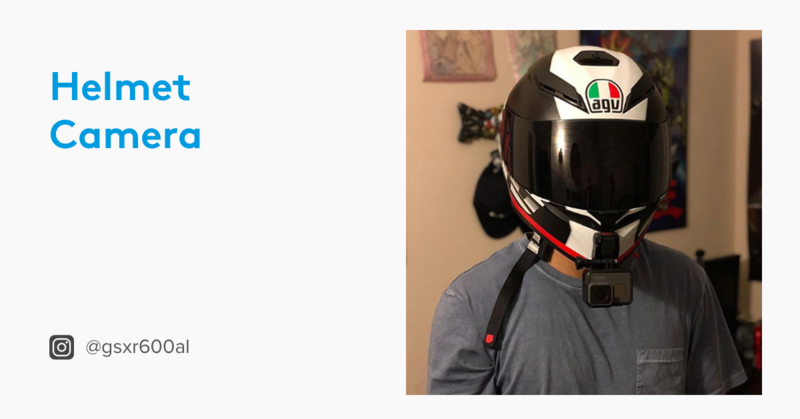 Or this Sugru + GoPro + biker helmet combo? 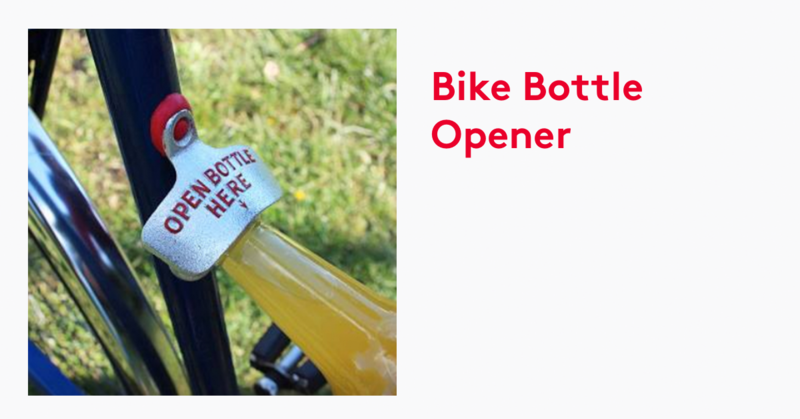 We still love this handy bottle opener. For more pedal powered inspiration, take a look at our 9 More Ways To Improve Your Bike With Sugru. Take Control. 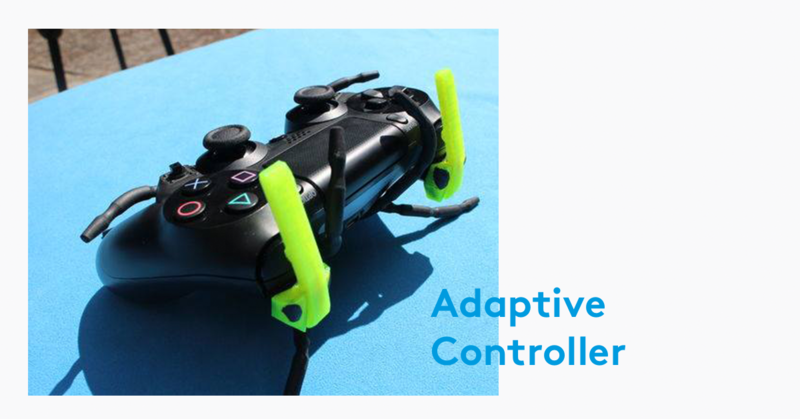 The gamers in our community are very proud of their Sugru hacks, and such clever customisations come in all shapes and guises. Some repair consoles and controllers. 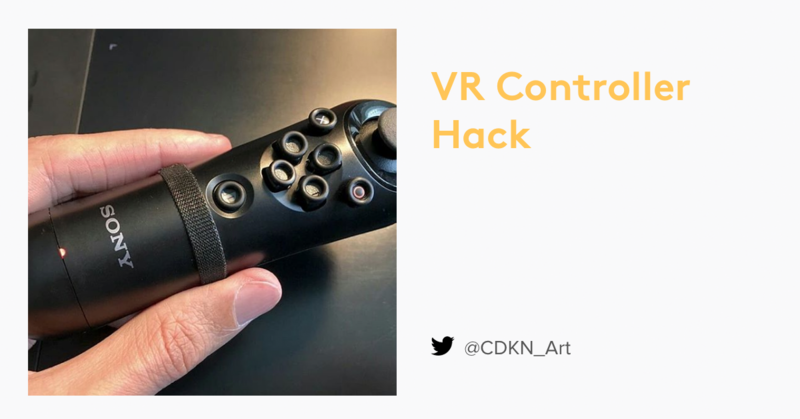 Others modify triggers, buttons and thumbsticks to make them more grippy, dynamic and responsive. Then there are the assistive tech hacks for players with limited abilities. Gaming is such an important hobby for many people with disabilities. And this is where Sugru can help modify gaming interfaces. 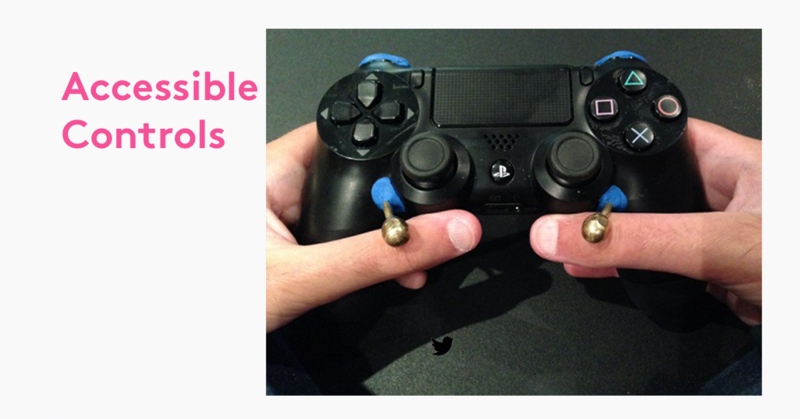 Just like this PS4 button levers hack by engineer Kent West. The main modification is the addition of 3D printed levers which have been stuck on with Sugru. Kent is part of Remap, a UK charity that creates custom made equipment for people with disabilities. See the video and full instructions. 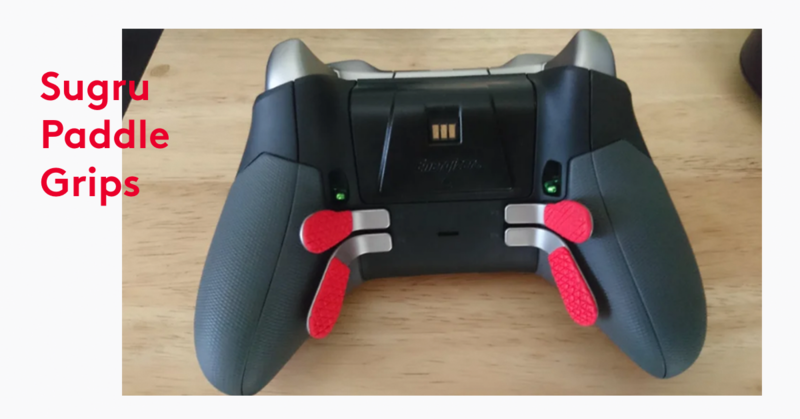 Here’s another of Remap’s hacks using Sugru for passionate gamer Vivek, who has Duchenne Muscular Dystrophy. Leigh from our community made these incredibly professional looking DIY grips with Sugru. Extra comfort, more responsive, game on! 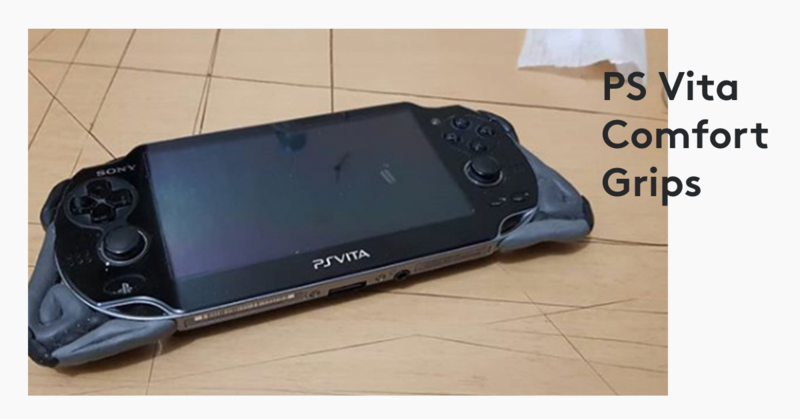 Ray from Qatar plays his PS Vita every day, but after a long gaming session, his wrists would hurt. So he added some Sugru handles to make it more comfortable. 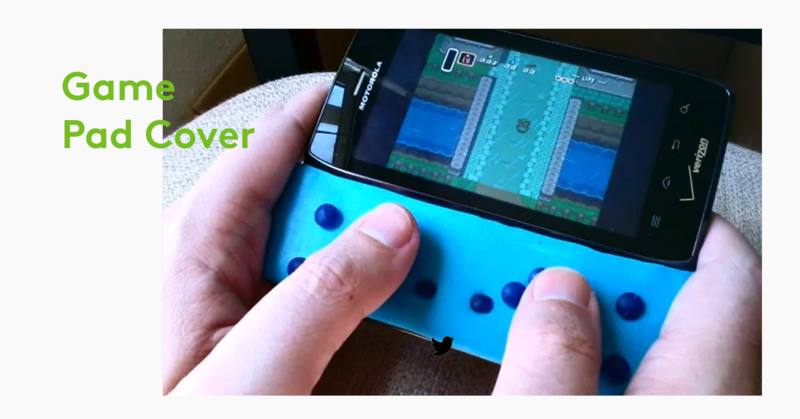 Aaron won Lifehacker’s MacGyver Challenge with this epic game pad cover for the phone&apos;s physical keyboard. Peter shows how easy it is to keep your kit neat and tidy. Fancy having a go? 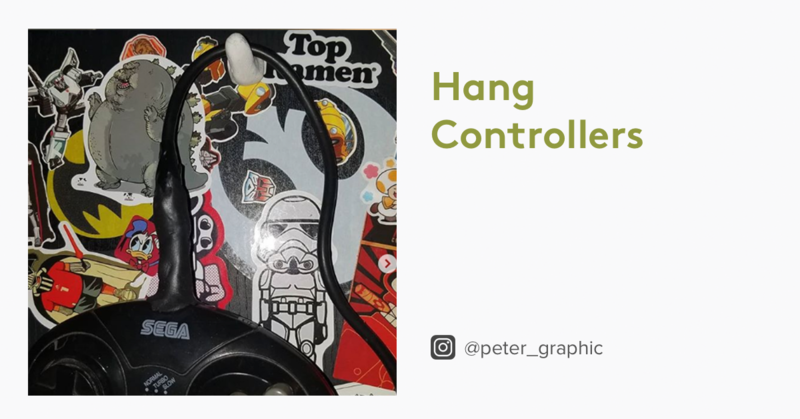 Learn How To Mod Your Game Controller with Sugru. After all this inspiration, why don’t you just switch off your smartphone and go out and do something less boring instead? And if you haven’t already, join our Sugru community on Instagram, Facebook, and Twitter, and sign up to our newsletter. You’ll get all the latest fixing lowdown. Then impress us with your own fixes, upload a pic, tag us, and add the hashtag #MySugruFix.